love giveaways!! Have fun in LV. I love your blog and great giveaway. I've been wanting to purchase some of the lite cartridges. I love this cartridge and don't yet own it. Thanks for the chance to win! Your blog is darling! Cool Give away! Thanks for the chance. You and Robin are lucky to have each other. You guys always have so much fun together on your videos. My son lives in Las Vegas. Are you coming to St. Cloud, too? I am so in LIKE with this cartridge... the OWLS! I can't get enough of OWLS! Have fun in Las Vegas! There are some great places to eat out there!! Thanks for the give away. thank you for sharing your talent! you're so creative!! I would love to win!! Have fun in Las Vegas!! Enjoy LasVegas. This looks like a neat cart. thanks for the chance to win it! Be safe and enjoy Vegas.. Love this cartridge. I want a Cricut Lite Cartridge! This one looks so cute. Thanks for the giveaway. Have a great time in Vegas!! LV, my second home! Say hello to my brother who works at the Paris! Oh Vegas, have a blast! It is probably soo hot! Never felt that type of heat until I went out there. Would love to have this cart. Thanks for the great giveaway!! Have fun in Las Vegas!! Great giveaway!! Have fun in Las Vegas! Thanks for the chance to win! Yea Karlee! How fun, thanks for a give-away. Enjoy your trip to Vegas. 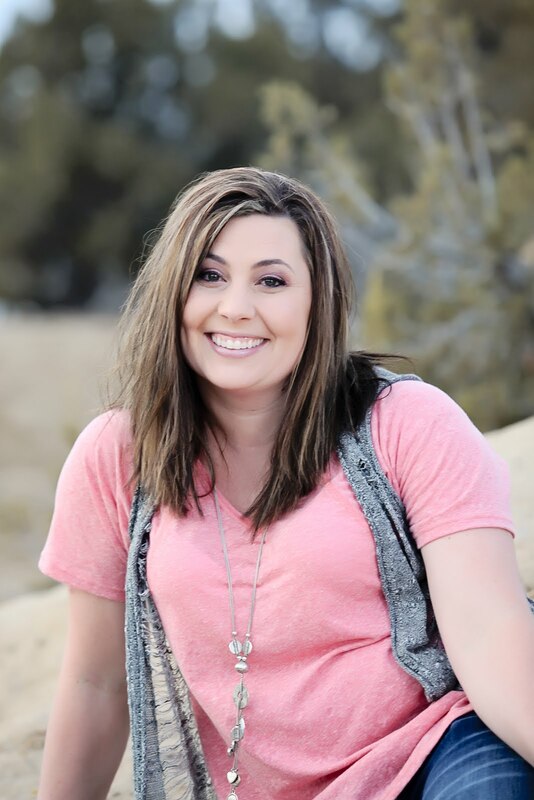 Hi Karlee, I love your blog! Thanks for a chance to win I have been wanting this one!!! YAY!! Thanks Karlee! You rock. This is such a cute cartridge, I've never seen it before. Have fun in Sin City! Have fun! And thanks for a give away while you're gone! I've done a project of my own inspired by your alternating word/wood letters!! It came out awesome! Now my husband and I are moving so I am going to make something with the letters of our last name. I wouldn't have known how to do it without you! Hope you are having a great time in Vegas! Thank you for the chance to win! Gotta love a giveaway!! Thanks for a chance to win!! Have a great time in Vegas, try to keep your money in your pocket. Thanks for the chance to win that cartridges. I would love to win this cartridge. Thanks for the chance. Have a fun and safe trip. Thanks for the great giveaway! I would love to win this cart. I love your blog! Hope you are having a great time in Vegas. I would love to win this cartridge. I don't have any lite cartridges yet. Such a cute cartridge! Have a great time in Las Vegas! i went there for my honeymoon and loved it! Thanks for the chance to win! yay for giveaways! hopefully I can win one! Gotta love giveaways!!! Have fun in Las Vegas. I love your new look. I love give aways and I especially love my Cricut Expression. Hope your staying cool in Vegas. Thanks for the giveaway. Hooray for giveaways and Las Vegas! Have a safe and fun trip. I have been wanting this cartridge so bad. I hope I win!! :)I hope you enjoy your time away in Vegas!! Yay a giveaway!! Love your blog!!! Wow - what a great giveaway!! Thanks for the chance and have fun in Las Vegas!! Please pick me I would love to win!!! Thanks for the great giveaway! hope you're having a great time LV! is it scorching hot still? Thanks for the giveaway. Have a great time! Thanks for the giveaway. I don't have any cricut lites. This would be a good one to start with. Thanks for the giveaway. thanks for a chance to win..love your projects!! Fun!! I hope you're having a great time! Karlee thaks for the chance to win. I don't own any of the Cricut Lite Carts yet. This would be great. Thanks. It's always fun to see what new projects you are doing! Love your blog! Hope you are having fun in Las Vegas, I hope to get there someday. I would love the cartridge. Thanks for the chance to win. I haven't broken down and bought any lites yet! Have a great trip! Woo Hoo Vegas Baby!! Hope you have a blast. Thanks for the awesome giveaway... I would love love to win this cartridge! Thanks for the chance Karlee! That would be awesome to win as I have been to 7 Wal-Marts near me and only one store has 3 of the Cricut Lite cartridges....none of which I would like at the moment. Have fun in Lost Wages!!! I've looked at this cart several times but haven't made the plunge!! Thanks for the giveway!! Yay!! Thank u for the giveaway :) Hope u have fun in LV- remember what happens in LV stays in LV lol!! Have a great time in Vegas! Thanks for the chance to win a great giveaway! Hope you're having a great time in Vegas. WOO HOO!! Thanks Karlee for this opportunity. Love Giveaways. Esp. since this cartridge is on my wish list. Have fun in Vegas! Hope you have a great weekend in Vegas! Have fun in Las Vegas!!! Yay for giveaways!!! Thanks for the chance Karlee! Have fun in vegas!!! Ooh, I don't have any of the lite cartridges! This looks like a fun one to have. Thanks for the chance to win! I would sure love to win this cartridge...it has sooo many cute new images to work with. Thanks for the chance to win. How awesome another giveaway. Have a great time in LV. This is a cute cartridge. Thank you for the opportunity. Have a fun time! Would love to win the cartridge, it would be just in time for my birthday! Hooray for a giveaway, and HOORAY for VEGAS!!! Hope you're having a great time!! Love your blog! And I love anything owls--thanks for the chance to win! Vegas baby! How fun!! Thanks for the giveaway. Enjoy yourself! Okay... let's do a giveaway. HEE HEE HEE. Thanks Karlee! Hope you are having fun in Vegas Karlee!! Thanks for the chance to win a cartridge. I haven't purchased any of the lite cartridges yet so maybe I will win this one. very cool. thanks for the great giveaway. Yay for the giveaway! Thanks Karlee! I check you and Robin's blog every day for what's new. Have learned so much from both of you. Our Wal-Mart doesn't carry the cartridges, so would love to win one. Have a great day. How sweet of you. Have fun. I have seen a few different projects by people using this cartridge! I would love to win it!!! I would love to have this cartridge!! It is so cute! Thanks so much for the chance to win! WoooHoo, what an awesome prize!! Thanks for the chance to win!! I am falling in love with owls, and would love this cart! Thanks for the giveaway. PS - If I am lucky enough to be the winner be patient with me... I am also heading away to the boony-lands of no-internet!! Thanks for sharing and for the chance to win. You have great ideas. How fun! That cartridge is so adorable! Would love to have this cartridge. hope you have fun in vegas. Hoot n' Holler looks like fun. Thanks for the giveaway. Vegas Baby!!! Thanks for the chance to win Karlee :) Have a safe/fun trip! Have a great time in Vegas!! Thanks for the giveaway. Karlee! How exciting for you to be having a give away. I hope you have a great time in Vegas. My daughter Jenny has the picture of you and Robyn with her, at CHA, on face book. She loved meeting both of you. By the way she says hi! OHHH! I want, I want! Thanks for the giveaway. Have fun In L.V.! yea! I just love giveaways!!! Thanks!!! 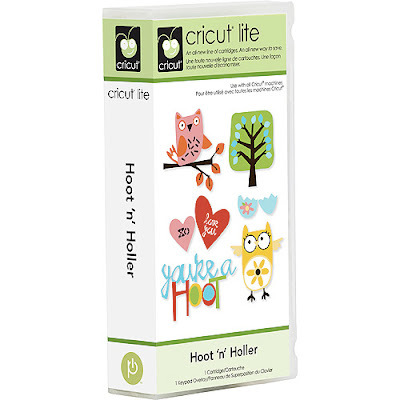 cricut lite hoot and holler! you can't any of those in canada! Awesome cart!! I don't have any of the lite's yet, and this is one of my favorites of them. Have fun in Vegas!! It is going to be HOT and also some rain. Thanks for the great giveaway. Have a good time on your trip. woo HOOT! lol love give aways! OOOOOOHHHHHH! Vegas! Wish I were there with you! Have a great time and maybe Lady Luck will be on my side and let me win this cartridge!! Super sweet Karlee! Thanks for the chance to win! vegas is my huband's favorite place!! ha ha! have a great time! thanks for the chance to win a prize! Thanks for the giveaway chance. Have fun in Vegas! I love owls...that is an adorable cartridge. I adore Owls but am iffy about Walmarts. Ha ha! Thanks for the giveaway! Hope you're having fun. Hope you have a fabulous time in Vegas! Oh, I love this cart!!!! my email is dvskibug@sympatico.ca. Thanks so much for the opportunity to win!!! I love this cart, it features my favourite bird! I can`t get this in Canada...hope I win. Thanks for the chance, have fun in VEGAS!!!!! Thanks for the chance to win Hoot 'n' Holler! Love your creativity! Keep up the great job! Hi Karlee, you come up with such clever projects. Thanks for sharing. Have a great day and enjoy your trip! Ok I never get excited about giveaways but I really want this cart.... GOOD LUCK LADIES!!! This looks like such a fun cartridge. Thanks for the fun blog. What an awesome give away! I hope I get lucky this time. Thanks for sharing your awesome videos. Las Vegas huh? And I thought it was hot here in mobile, Alabama! LOL keep cool and have fun! By the way, I would love to win this cartridge! OH what a great giveaway. Have a wonderful time in las Vegas! Have fun in Vegas! Good luck to all! Well, when you and Robyn are together you are both a hoot so I would say this is an appropriate giveaway! lol Thanks for the chance to win and good luck in Vegas! What a great cart. I would love this one. Hope your trip to Vegas in great. I would love to win this cart as only 4 of the Cricut lite cartridges are available in Canada (as this isn't one of them). Great giveaway, Karlee!!! I hope you are enjoying Vegas! Super Fun Giveaway!!! Thanks for the chance to win! This looks like a fun cart. Thanks for such a great giveaway! Have fun in Vegas! Have fun in Vegas! I hope it is not too hot! Fun!! Thanks for the giveaway! Have a great time in Vegas. Thanks for the give away, love that cartridge. Have fun in Vegas, it is so sweet of you to do a giveaway. You are sooo KIND!!!! Thanks for the opportunity. Have fun in Vegas! What an awesome giveaway! I so want this cartridge for making cards for my friend who loves owls! Hope you are having a great time in Vegas. Vegas, baby! Thanks for the great giveaway! Scrap 'til you drop, then scrap on the floor! Id love to win this. Thanks for the opportunity! Hope you are having a great time in Vegas! This cartidge is adorable, thanks for the giveaway Karlee! Have fun in Vegas Karlee! Thanks for the giveaway! The owls look like fun! I love this cartridge, but don't have it yet. Hard to keep up with all the new cartridges and not go broke! LOL Would love to win this! Hey, have fun in Vegas. It's a fun place. Thanks for the chance to win!! this cart just looks too cute. would love to have a chance to play with it. I don't have any lite's yet. Have fun in Vegas. Sweet!!! Thanks for the chance!! Have fun in Vegas. Love Vegas!!! Thanks for this opportunity! I hope you are having lots of fun in Las Vegas! Thanks for sharing all of your creations with us! i would like to win this cartridge ! ! it's so cute. thanks. have fun in las vegas ! Thanks for the chance to win! :) You have a great blog! I hope you have a great time in Vegas!!!! thank you for the chance to win this cart!!!! Good Luck in Vegas and put $20 on red. thanks for the chance! hope you're having fun in vegas! This is such a cute cart! I would love to win! Win big in Vegas! I hope you are having a good time in Vegas. I just wanted to say thanks for sharing your projects with us, they are very inspirational! We cannot get any of the Lite Cartridges in the UK at the moment, but I do love them ALL!!! Take care and have a great time in Vegas!! What fun! Have a great time in Vegas! Enjoy! Relax! Thanks for all your sharing on your site! I have not yet purchased a Cricut Lite cartridge - I would love to own this on. Oooo a giveaway! I don't have this "lite" yet. Thanks for the opportunity to win. Have a wonderful time in Vegas. Hoot 'n' Holler is one of the lites I would love to own! I would love to get this cartrdige. I hope you have fun in Vegas. I love the cartridge. Have fun in Las Vegas. I love it there. I live in Florida and going to Las Vegas was like going to another world. Everything was so different. I want to go back!